NATCHITOCHES – Northwestern State University, in partnership with Sodexo, will open a new Chick-fil-A Express adjacent to campus this fall. Demolition began June 18 on the facility at 912 University Parkway that will house the new Chick-fil-A, as well as the new university bookstore. Administrators expect both to be open for the Fall 2018 semester. In response to student requests, NSU President Dr. Chris Maggio tasked the NSU Foundation and Sodexo with development of the new restaurant in conjunction with the renovation and expansion of the campus bookstore. 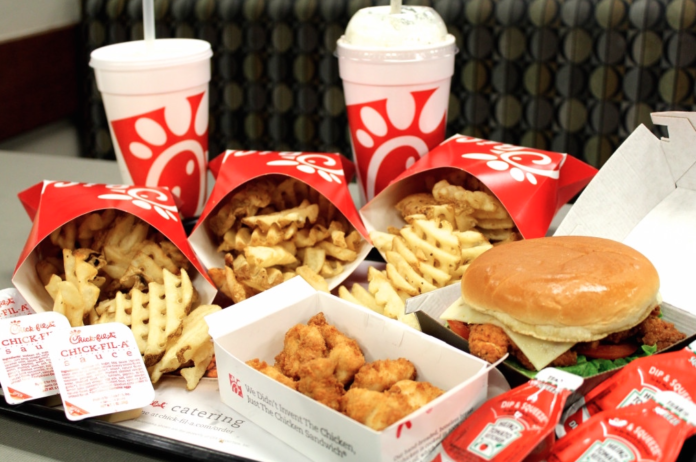 Sodexo Vice President of Operations Ron Guillory and General Manager Steve Kauf reached out to Chick-fil-A to explore the possibilities of bringing the brand to Natchitoches. After purchasing the building, the NSU Foundation turned to Sodexo Construction to assist in project management to develop the new store in cooperation with Follett Higher Education Group, which will operate the new 8,000-square-foot bookstore. The new Chick-fil-A will service not only NSU students, but the general Natchitoches community, Guillory said. Information about the opening of the campus bookstore and the Chick-fil-A will be available as details are finalized.